Move Over America: ISP Special Patrols Statewide April 14 - 20, 2019 — The Worthington Times. Indiana - We’ve all heard about it before; the Move Over Law. 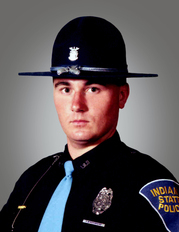 In 1999 Indiana was the first State in the nation to pass such a law requiring motorists to move to an adjacent traffic lane, or reduce speed by 10 mph below the posted speed limit if unable to change lanes safely when driving by a stationary police, fire or ambulance emergency vehicle stopped along the side of the road.